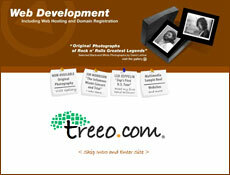 TreeO.com As it should be, our own site is tops in our portfolio. A complete portal website with integrated Podcast, blog, forums and eCommerce. Our musical intro Flash splash page, send-to-a-friend links on every page and polling system are just the start. Direct subdomain links get people right to where they want to be: podcast.treeo.com, gallery.treeo.com and contact.treeo.com. Check it out! GreatBigPlanet.net Great Big Planet is an arm of Mind Your Planet, an educational organization designed to provide large-scale educational assembly programs on environmental, cultural diversity, and anti-bullying topics. Mind Your Planet is owned and operated by Bruce Segal and has been doing programs since 1991. EvelynClothier.com The Fine Art of Award Winning Jewelry. 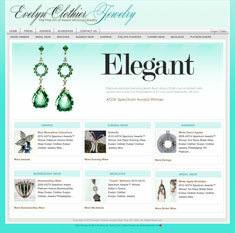 Showcase website for jewelry designer, Evelyn Clothier. TerryMoore.com A celebrity website with Terry Moore’s personal blog which keeps her connected to her fans worldwide.Terry also sells autographed photos from her classic movie career as well as her books. Ghost Radio Network Video Podcast Network. Owner-Producer, Alan Graham, is a talented entertainer, storyteller and author who produces his own unique videos. Ghost Radio Network Video Podcast is distributed on iTunes. 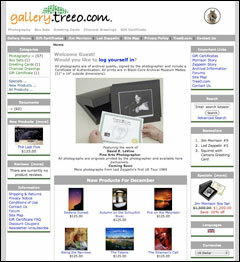 The site features Alan’s work, blog and eCommerce items. 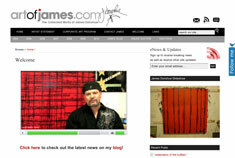 artofjames.com Artwork showcase and blog for artist James Donohue. Features an animated Flash splash page, introduction video, art slideshow and Twitter connection. The entire site is user updated with minimum technical knowledge. 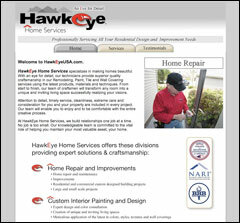 HawkeyeUSA.com HawkeyeHomeImprovements.com HawkeyePainting.com Corporate website with two subdivions, all hosted a a single site, all with a unique look tied to their corporate identity. The site uses a Flash slide show and menuing system. Individual domains link directly to each division allowing direct maketing of each, while maintaining the corporate umbrella. 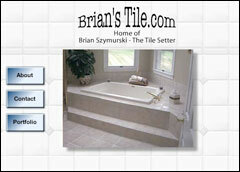 Brian’s Tile A website for an individual artisan featuring a portfolio of his works. This website is totally Flash based except for his contact form. gallery.treeo.com An eCommerce solution. Our own Internet Gallery featuring the original fine-arts photography of our founder. The website is dynamically database-driven with an included user-friendly web interface to add and modify products. 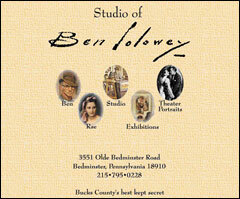 Studio of Ben Solowey This website is almost ten years old, but our client was so happy with the original concept/design, that he has stuck with it. The clent was trained eight years ago to perform his own updates. He also uses the mailing list/newsletter function included with his hosting solution. © 2019 TreeO.com. All rights reserved.